People invest big money in appliances and devices but most often forget to secure their devices from power outages. A good UPS can take care of your precious devices by giving your extra time to close applications and save files. But this is not just the only task it performs. There is more to it. UPS and power surge protectors are a must have in your office IT infrastructure. 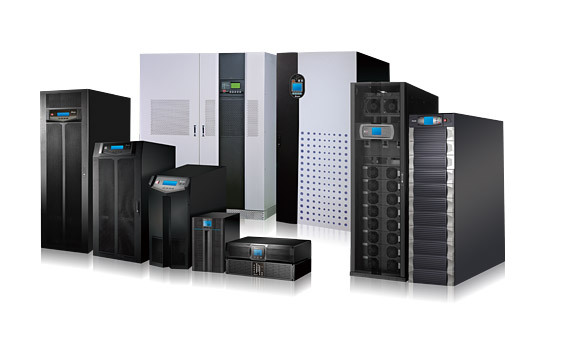 Thanks to the manufacturers of Online UPS in Chennai, the right protection is available from all types of power issues. UPS brings sufficient power to your devices to ensure it does not fluctuate much. The surge protectors take care of the basic power conditioning. It can protect your devices from power surges and save your business from blackouts and power spikes. The quality of power conditioning depends on the quality of the UPS devices, the higher the quality, the better the services. A computer can be damaged due to frequent power fluctuation. Power supply sending variable power to the computer can damage the components leading to downtime and poor productivity. Computer failures due to power fluctuations are hard to define and can lead to failure of hard drives, RAM and CPU. UPS protects files from getting corrupt. Though, cheap UPS does promote efficient backup till the battery lasts. The computer exposed to sudden power loss can result in restarts leading to corruption of file system. It can also destroy the operating system wiping away vital information from the computer. To bring the computer back to working condition hiring a professional data recovery expert becomes necessary and this comes at a big cost. Therefore, the best alternative would be to prevent such situations from arising by investing in a good UPS system. 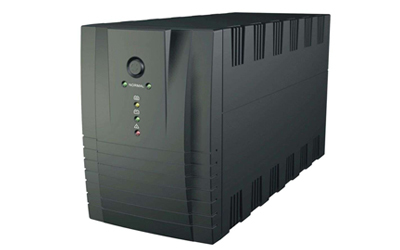 The UPS units from Dealers in Chennai can be categorized into three types based on the design principles. Standby UPS unit: This is the simplest among the three. It charges the battery and waits for the power outage to happen. Once the power drops, the UPS switches on mechanically. It takes about 20-100 milliseconds to switch on, which is determined as the tolerance threshold level for most of the electronic devices. Line Interactive Unit is similar to Standby UPS but comes with a transformer. The special transformer gives added benefit to the UPS unit during blackouts. Line Interactive unit can come handy for people who live in areas that are shrouded by frequent line voltage issues. It is worth the investment. Online UPS is the priciest among the three, as it needs extra circuitry. The UPS unit works in isolation with the wall power. Instead of taking over once the power is out as the other two types of UPS, this one filters the wall power with the help of a battery system. The electronics run off the battery bank, and there is not even a millisecond interruption caused due to power loss or voltage fluctuations. It functions more like a firewall between the device and the wall power, stabilizing the electricity needs of the device. Still confused whether to buy a surge protector or UPS, check this out. The choice purely is based on the circumstances. For large establishments that want to preserve their systems from all types of power fluctuations, UPS is the right choice. On the contrary for those home computers that occasionally run for web browsing or other personal use, a surge protector can be a better option. While buying a UPS from online battery dealers in Chennai, people have to give priority to data protection and resource protection, instead of focusing too much on security. Both data destruction and data falling in wrong hands are dangerous. A reliable & reputed UPS manufacturer can protect your data and the hardware against power odds; you can heave a sigh of relief with a superior quality UPS.